If you want your hair removed, there are a lot of methods to use including ordinary shaving, laser hair removal and waxing hair removal. The laser and waxing hair removal are very popular due to the smooth and lasting skin effects it produces. Body hair is not a bad thing to have. Some people have more body hair than others. It is up to you to keep your body hair or have them removed. You can book for laser hair removal and waxing hair removal at a salon or spa. Although, these methods of hair removal is popular they are attached with some misunderstanding. Some people think that both hair treatments are inefficient for black people while others think that waxing tears the skin apart. 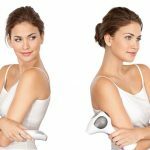 To discredit these common beliefs, we have provided you with information from experts regarding the two forms of hair removal. The article also provides information on the variation between laser hair removal and waxing hair removal. Laser hair removal depends more on the color of your hair than on the color of your skin. It also does not depend on the texture of your skin. Laser hair removal works on all skin types and skin with all shades of color. The effectiveness depends more on the color of your hair rather than the color of your skin. Laser hair removal uses different settings and equipment for different type of skin types. This is why it is suitable for all skin types. 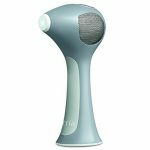 Commonly, the greater the variation between your hair and your skin color, the more effective will the laser hair removal work for you. However, lesser hair removal is not a good option for people with blonde, red or gray hair. The majority of people prefer to do the shaving by themselves before going for laser hair removal. However, a few aestheticians do shave their clients to shave areas like the bikini contour of their clients. The disadvantage of having an aesthetician do this for you is that you’d normally get a dry shave. Laser removal functions as a nonstop process of hair follicle removal. It works under the skin’s surface and damages the hair follicles or cause them to have stunted future growth. 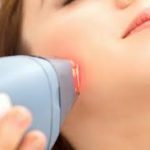 Experts recommend going for laser hair removal for least five times, within the space of four to six weeks for the best results to be obtained. Every session trims down your hair growth by 10 to 15 percent. During laser hair removal, you may experience some pains or discomforts. To mitigate the pain, majority of patients are advised to take two Advils 30 minutes prior to the process of laser hair removal. When your waxing hair removal is perfectly done, the wax clutches onto the hair and tows on the follicle making the skin area far smoother than when you have done manual shaving. 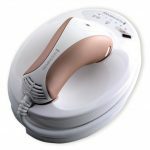 When is it recommended to carryout waxing hair removal? There is no need to shave before waxing. In fact you need a longer hair for waxing to be more effective. 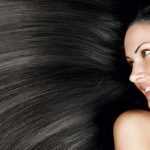 The longer your hair, the smoother the effect of the result you will obtain. Waxing does not onto the skin to pull hairs out are erroneously believed but it merely grabs the hair and pulls the hair follicle. Hair grows back less quickly during waxing than shaving due to the fact that waxing removes hair follicles entirely. After three days you did waxing, it is recommended by experts that you carry out exfoliation with a sugar scrub and a natural form of salicylic acid such as willow bark to bock the hair pores and make them less liable to develop more hairs. Exfoliation as well helps to prevent hairs from growing within.